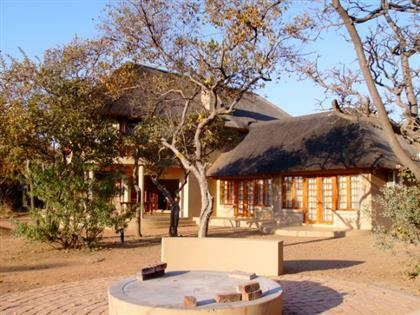 Situated in the lovely Limpopo Province, only 2 hours, north of Johannesburg, Zebula Country Club offers the visitor a 5-Star golfing resort with magnificent golf, relaxing health spa, lodge facilities and a nature reserve. Activities are available for the whole family and close encounters with their big cats makes your visit worth every moment! The 1,4 km, tarred airstrip is now open and guests are welcome to make use of this facility. Magnificent upmarket double-storey home for the discerning buyer. Unit in immaculate condition, fully furnished and equipped for 16 x guests. 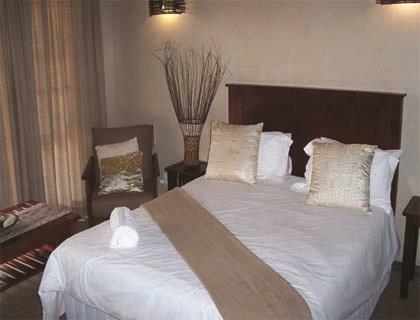 8 x large double bedrooms (air-conditioned), 4 full bathrooms and 4 lofts. Downstairs you will be welcomed by a large entrance hall, spacious lounge and dining room leading onto undercover patio with built-in Jetmaster braai. Open-plan kitchen with separate scullery, separate laundry and guest toilet. 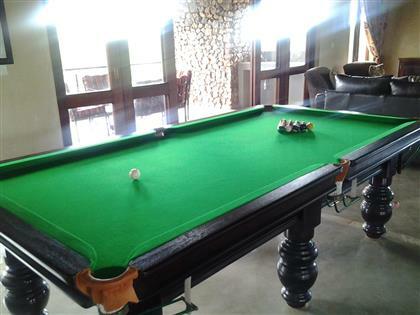 Upstairs entertainment area offers pool table, TV room, beautiful built-in bar area and guest toilet, all leading onto under cover balcony with spectacular views of Zebula Golf Course. Unique features of this extraordinary unit are: 5 geysers, 3-phase electricity, own generator, brand new septic tank and water pump with additional back-up pump. Double carport under thatch plus a golf cart garage is available. This beautiful property offers 4, spacious, en-suite bedrooms with air conditioning. Lovely open plan living areas and kitchen. 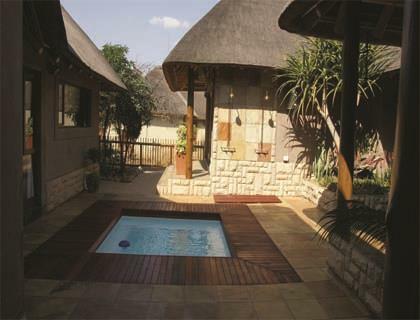 Outdoor living with built-in braai, splash pool and private braai area. Upper floor with walkway that opens onto lovely deck and jacuzzi. Double carport and garage. Spectacular golf estate home. 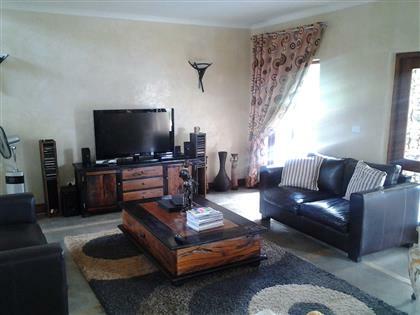 Main home with 3 bedrooms, large open plan living area on entering. Guest bathroom, spacious kitchen with separate scullery and pantry. 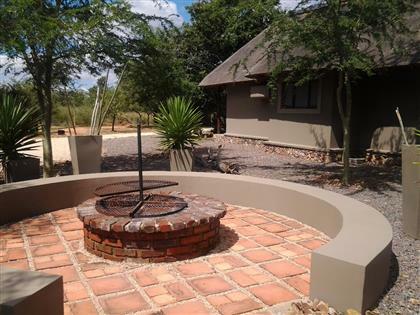 Lovely entertaining lapa with fire pit, kitchen, bar, dining and tv area. 3 Guest chalets each with 2 bedrooms, loft and interleading bathroom. Full back-up generator and en-suite maid's room. Situated next to the fairway, this home offers comfort and luxury. Open plan kitchen with separate scullery. Tv/living area that opens onto covered patio which leads to swimming pool and braai area. 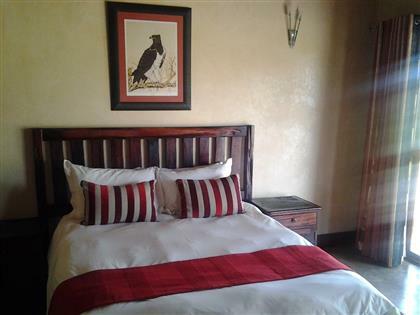 The home offers 4 en-suite bedrooms of which 2 are main bedrooms with full bathrooms. Upper floor offers an entertainment area with guest bathroom. Covered patio overlooking stunning fairway views!